1. Season chicken with salt and pepper. Grill. 2. 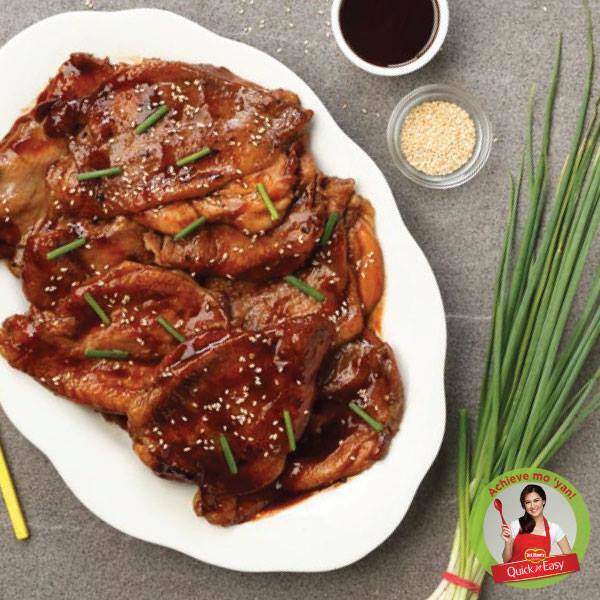 For Tereyaki Sauce: Combine DEL MONTE Quick N Easy BBQ Marinade, mirin, ginger and water in a saucepan. Simmer for 5 minutes. To thicken the sauce, add cornstarch mixture and cook for 10 minutes or until thick. 3. Toss chicken into the sauce. Top with spring onion and sesame seeds. Serve. 4. Pour over chicken. Top with spring onions and sesame seeds.